MAY 17--A singular piece of Donald Trump history went up in flames last year during a warehouse fire on the Brooklyn waterfront. 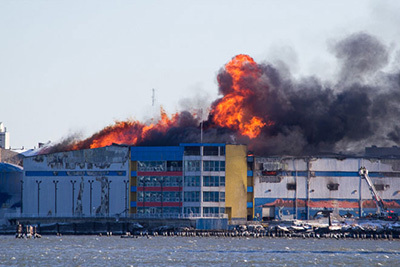 The January 2015 blaze that gutted the CitiStorage facility in Williamsburg destroyed a massive collection of historical records stored there by the New York state court system. 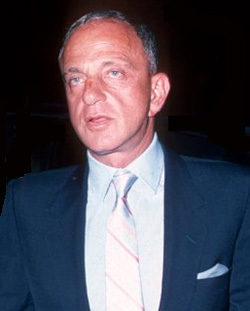 Included in the tens of thousands of boxes of records incinerated were files relating to the disbarment proceeding brought against Roy Cohn, the reptilian attorney who gained fame at the shoulder of Senator Joseph McCarthy and eventually became a fixer and confidant for New York gangsters, politicians, and tycoons. 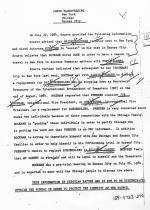 After a lengthy disciplinary hearing, Cohn was stripped of his law license in June 1986 for assorted “dishonesty, fraud, deceit and misrepresentation.” Among other transgressions, Cohn was found to have held the hand of a dying 84-year-old client as the senile man signed a document naming the attorney co-executor of his will. 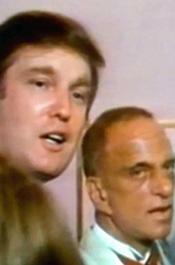 Cohn exacted the signature during an unannounced, late-night visit to the man’s Florida hospital room. Along with Cohn pals like Barbara Walters, William F. Buckley, Jr., and New York Times columnist William Safire, Trump appeared before the disciplinary panel and attested to the lawyer’s good character. The voluminous Cohn disbarment records--which included the transcript of Trump's testimony--were destroyed in the Brooklyn fire, according to a court official who sought to requisition the files in response to a request from a TSG reporter. 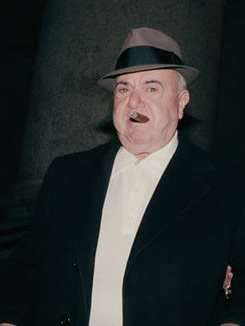 In his book, Barrett quoted a Cohn aide’s recollection of a meeting between Trump and Genovese crime family boss Anthony “Fat Tony” Salerno that occurred inside Cohn’s Manhattan townhouse. The 1983 get-together came around the time that a concrete firm controlled by Salerno was building a Trump condominium tower in Manhattan. Cohn’s East Side residence was a safe haven for hoodlums seeking to meet in private with their associates. 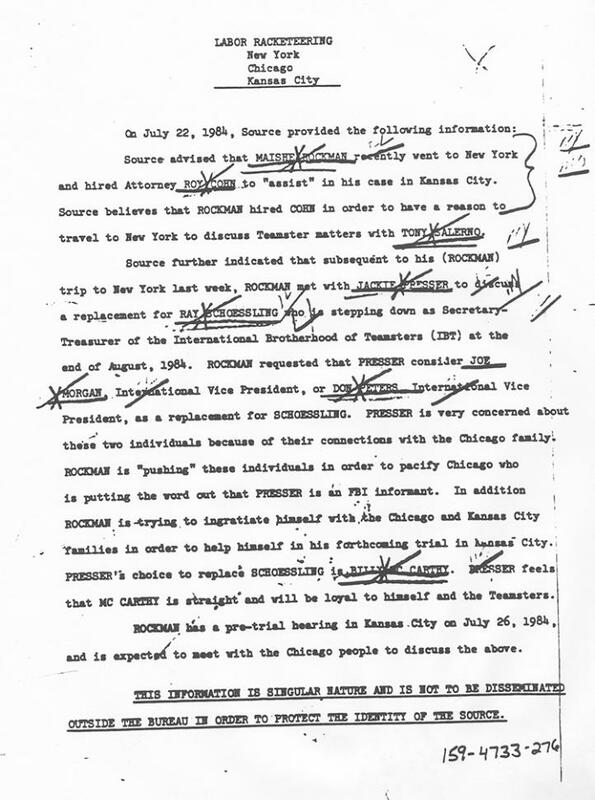 For example, in 1984 a top echelon FBI informant reported to his handlers that a Cleveland gangster under indictment hired Cohn so that he would have a reason to travel to New York, where he then met with Salerno in Cohn’s office to discuss the Genovese family’s control of the Teamsters union. FBI agents positioned outside Cohn’s East 68th Street home surveilled those meetings between Salerno (pictured at right) and Cleveland wiseguy Milton Rockman. Cohn’s other residence, an estate in Greenwich, Connecticut, figured in a tax avoidance scheme in which Trump was once snared. The billionaire was among dozens of wealthy customers of Bulgari, the Italian jeweler, who avoided paying sales tax on their purchases via the “empty box” scam. 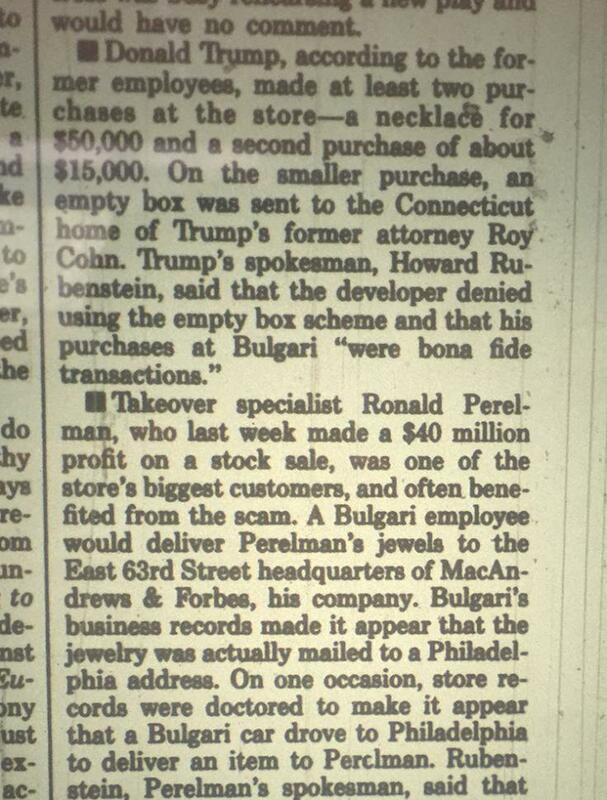 While customers walked out of Bulgari’s store in the Hotel Pierre with their baubles, employees would mail an empty box (or a package with a worthless trinket) to an address outside New York, allowing the buyer to dodge a state “use” tax. 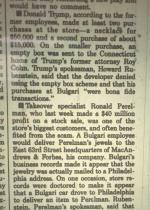 It does not appear that Trump was among the Bulgari customers who testified before a grand jury probing the “empty box” operation. The panel heard testimony from Leona Helmsley, court records show, while subpoenas were served on Kissinger’s assistant, television producer Mark Goodman, and other Bulgari patrons.